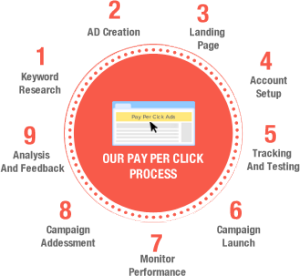 White Iron Data provides you the best pay per click services. Helps you in ad creation, landing page design and more. Visit us and get relevant traffic. Getting out ahead of the search tools available today is a tricky process. We know the rules, and we know how to direct your efforts to the right avenue. From ad creation, landing page design, tracking and testing to completing the feedback loop. Let us help you understand how pay per click advertising with Google or Yahoo can help you drive relevant traffic to your website.